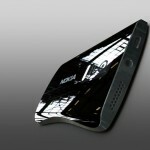 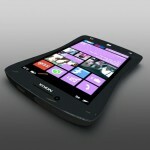 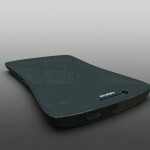 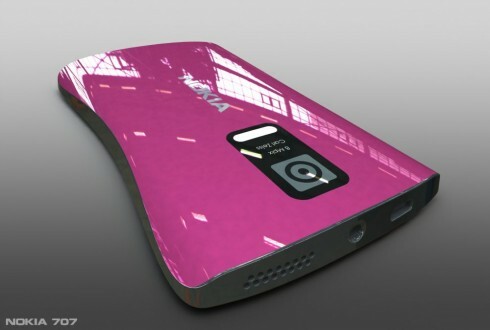 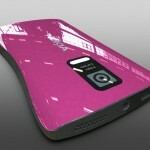 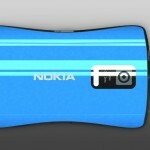 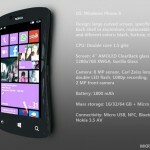 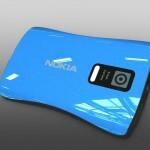 Over the past days Edgar Mkrtchyan has been present on our website with some very interesting Nokia designs. 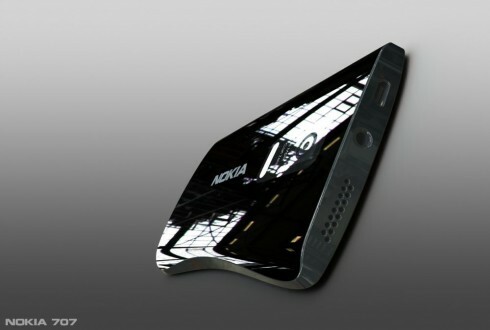 We saw a handset with a rotating camera and much more and now we get to see the Nokia 707 concept, created by the same artist. 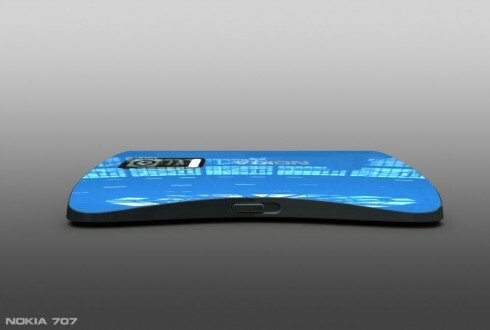 The device is kind of shaped like a figure of 8 and resembles a race car when seen from above. 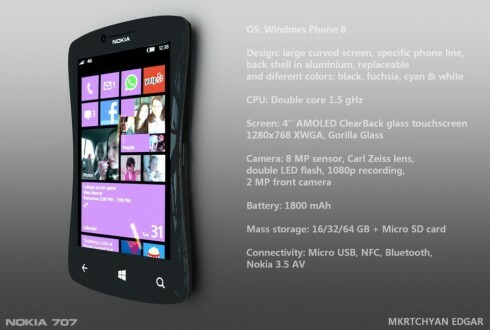 The device runs Windows Phone 8 and it’s wider at the bottom and lower part and narrower at the middle, so it’s got the whole hourglass form factor going on. 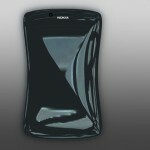 Nokia 707 also has a large curved screen, back shell made of aluminum, that’s replaceable and available in different colours like black, fuchsia, cyan and white. 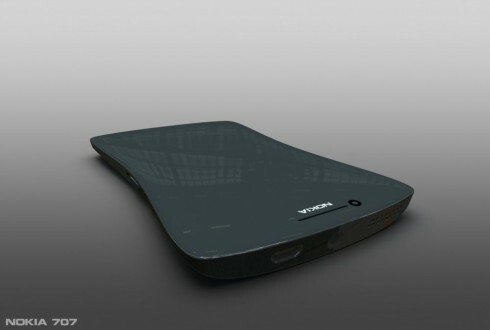 Inside there’s a dual core 1.5 GHz processor and upfront we’ve got a 4 inch AMOLED ClearBlack display with a 1280 x 768 pixel resolution and Gorilla Glass protection. 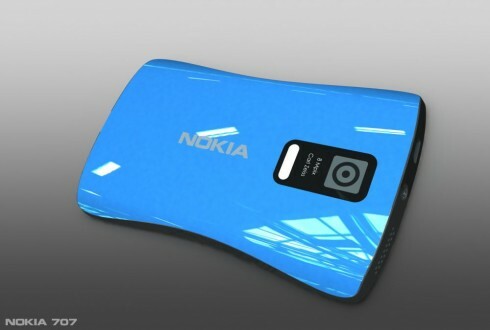 At the back there’s an 8 megapixel camera with Carl Zeiss lens, double LED flash and 1080p video recording. 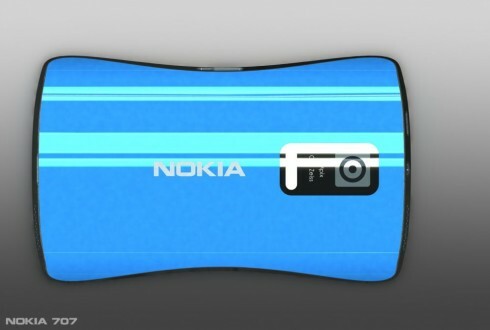 At the front we find a 2 megapixel camera and other specs include a 1800 mAh battery, 16/32/64 GB of storage, a microSD card slot and microUSB, NFC, Bluetooth connectivity. 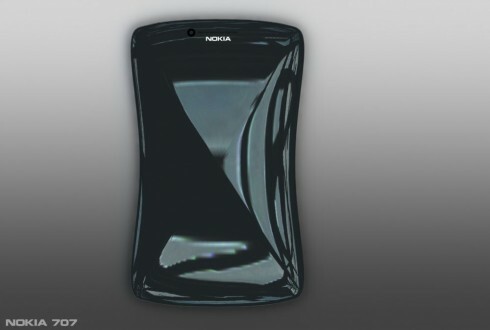 This glossy piece of work looks like a race car from above and from the profile like a futuristic gadget and I truly like the hourglass shape it has. 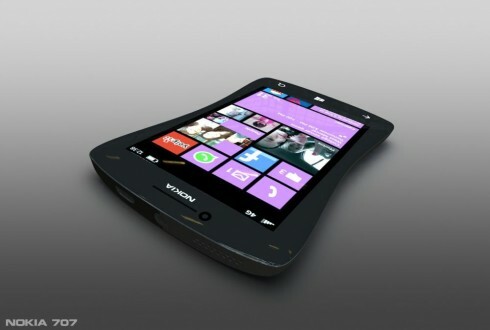 It’s very ergonomic and allows you to squeeze the device better.